Sergeant 1st Class – appointed ? Bob Eagleton What a great bloke. One of my instructors in cadets. I worked at Gunnedah PCYC in 2000 and the locals still spoke of Dacky who worked there nearly 40 years earlier. Top bloke who will always be remembered for his kindness and friendship. RIP old mate. 1 Mar 2017, 3 p.m.
Denis Dack lived a life dedicated to his community, no matter where he was in the world. Even from a hospital bed, Mr Dack was thinking of what he could do next to better his community. The former Gunnedah man died aged 81 in Brisbane on February 15 and will be remembered for his community spirit. Born on October 28, 1935 in Kurri Kurri to dairy farmers, he became a police cadet at 16 years of age after his father was a prisoner of war in World War II. He was to be the “bread winner” of the family. Mr Dack was posted in Sydney, where he met his future wife Wendy. The couple were married in 1957. The couple moved to Gunnedah in 1967 to help boost the Gunnedah Police Boys’ Club (PCYC) after establishing one at Tweed Heads. A community-minded man, Mr Dack organised the Gunnedah Wheat Festival to raise funds for the club, as well as a well-known sponsored river trip from the Namoi to Adelaide over 31 days with the McCoy triplets. He was also instrumental in introducing girls into the boys’ club. While in Gunnedah, Mr Dack became a boxing coach. He continued the role when he moved to Campbelltown in 1972, which turned into the opportunity of a lifetime – coaching the Commonwealth Games team. His son Anthony has fond memories of their time in Gunnedah. “I have memories of travelling around in a little bus Dad bought because you couldn’t get kids to other towns for sports carnivals,” Anthony said. Anthony said his dad was “the driving force” behind a lot of projects even into his retirement and poor health. After 40 years in the police service, he ran a 000 call centre in Sydney and drove trucks before moving to Burrum Heads in Queensland to focus on the rural fire brigade. 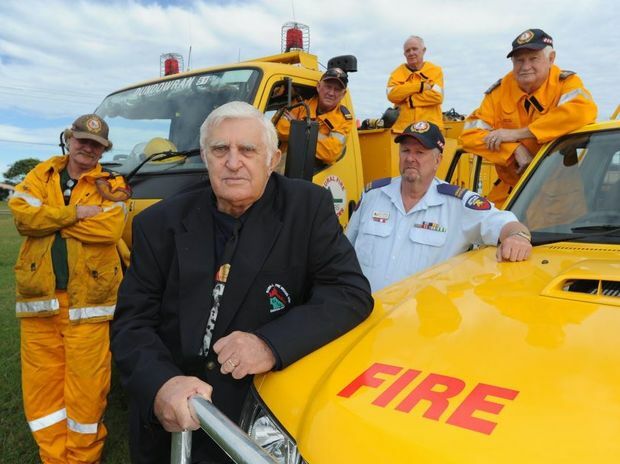 Most recently living in Hervey Bay in Queensland, he was awarded an OAM in 2012 for his commitment to the rural fire brigade and Meals on Wheels. His wife Wendy initiated the honour, however, she sadly passed away six months before he received his medal. “When they first moved to Hervey Bay, they bought a fish and chip shop. Dad got sick for quite a while and mum decided to sell the shop,” Anthony said. “He was told he needed a pacemaker and was to be flown to Brisbane. Gurney beds aren’t allowed through airports so the ambulance officers and dad had to wait out in the rain for everyone to board before they could get on the plane. Mr Dack formed a committee and raised more than $400,000 to build a patient transfer facility at the airport. Following the success of the facility, the committee went on to raise more than $450,000 to establish a state-of-the-art Meals on Wheels facility in Hervey Bay. “That was his last legacy, he enjoyed helping people so much,” Anthony said. Mr Dack also initiated translators to be stationed at Sydney police stations and helped establish neighbourhood and marine watch programs. Anthony said it was evident at his father’s funeral the legacy he had left. “People from all walks of his life came to pay their respects, his family had become pretty big,” Anthony said. Mr Dack, a hard worker, community man, keen poet, traveller and wood worker, is survived by his four children, Anthony, Marc, Kim and Peter, and 10 grandchildren and nine great grandchildren. WHEN Denis Dack saw a need in his community, he was the first one to do something about it. The 81-year-old Urraween man died on February 15, but his legacy will live on, both through the organisations for which he carried out tireless volunteer work and through his loving and devoted family. During his life, Mr Dack worked as a police officer and ran everything from PCYCs to boxing clubs, joined the volunteer fire brigade and gave his time and raised a huge amount of money in support of Meals on Wheels. He was the coach for the Australian boxing team that travelled to New Zealand for the Commonwealth Games. Even when he suffered a heart attack and had to be flown to Brisbane in 2007, he was thinking of the wellbeing of his community and other people. His beloved wife Wendy and his son were left on the other side of a wire fence with rain pouring down as he was loaded into a plane. It was then he decided to raise funds to build a patient transfer facility in Hervey Bay to provide a comfortable place for sick people and their families to rest. He raised $300,000 to make the idea a reality and he told the Chronicle at the time he was amazed by the generosity of the region. 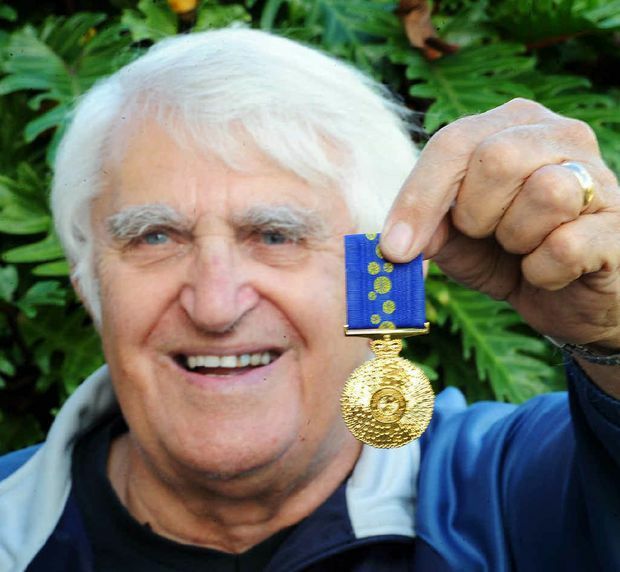 In 2012, he received an Order of Australia Medal that recognised more than 50 years of service to the community. His son Marc said even in death his dad was thinking of the organisations he loved. Instead of flowers, he asked that donations be made to Meals on Wheels. “That personifies who he was,” Marc said. While his community service was a huge part of his father’s legacy, Marc said as far as Denis was concerned, family was always his number one priority. Born on October 28, 1935, in Kurri Kurri, near Newcastle, Denis was the eldest son of Walter and Myrtle Dack. He was a police officer for almost 40 years and later owned a business at Burrum Heads named Dack’s Diner. He married Wendy in Sydney on July 6, 1957 and they had four children, Anthony, Marc, Kim and Peter. They have 10 grand- children and nine great grandchildren, with one on the way. Paul Quilter Daley I worked on the truck way too many shift with DD. Some of the not so keen Sgts looked down on him because he was out and about causing havoc and mayhem with the Campbelltown hoodlums. He was an exceptional pugilist and was coach of the late 60’s early 70,s Australian Commonwealth Games Boxing Team. For those who knew him, it was an oxymoron how a man who spent so much time in the boxing ring had a perfectly formed nose. His features were such that he was a part time model and did quiet well at it too I might add. He made it to Commissioned rank after leaving 35 Div and went to VKG. Dennis was a real,policeman policeman and deserves a front row seat in the big meal room upstairs. Vale my friend. Bruce Moon Dennis was one of The Sergeants charged with looking us Cadets who were homesick, rowdy, growing into young adults And finding out about life in general. A fantastic surrogate father to all us Cadets who passed through the Redfern Police Academy. Rest in Peace. David Martin Dennis was a Cadet Sergeant in the 70s and a very good one. He could always back up his law lectures with a story how a particular law worked in real life. He got punted when he lent his pistol to an ex cadet who was now a probationary constable to wear on the morning parade at the academy. The drill staff found out and the next thing Dennis was back in G.Ds. Very sad loss. Denis Chalker Denis Dack, affectionately known by the troops as “Daffy Duck” at the old Campbelltown Police Station in Railway Street was a great bloke and supervisor who could be relied upon for backup, support and genuine comradery to all personnel, regardless of rank. A real decent mans man who will be sadly missed by all who had the privilege of knowing him. R. I. P. Brother. Wade Kill He was also an extra in one of the old cop shows on TV many years back. A real gentleman. Kevin Ramm Very sad Geoff. RIP Denis. I believe he will be happy as he will be keeping company with his lovely wife Wendy now. True love. R.I.P Denis. 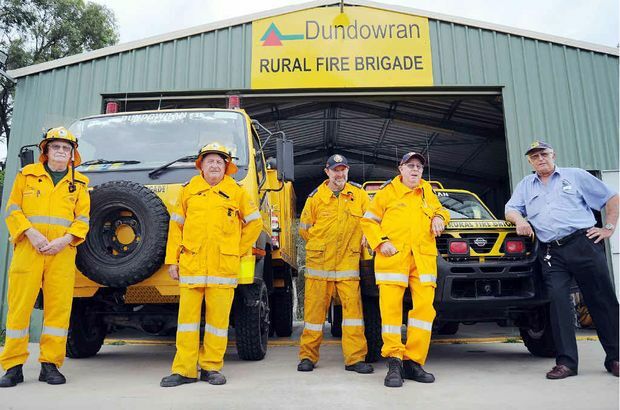 Dundowran Rural Fire Brigade’s David Kohler, Dave Spawton, Keith Speirs, Peter O’Brien and Hervey Bay District Rural Fire Group chairman Denis Dack are losing their funding. COMMUNITY unrest about increases to fire levies is set to ignite community meetings in Dundowran tomorrow. Recent meetings in Toogoom and Booral between local residents and representatives of the Queensland Fire and Rescue Service have been the scene of angry exchanges. Substantial hikes to the fire levy paid by home owners in the outlying suburbs of Hervey Bay is driving discontent along with the fear that rural fire brigades will be robbed of funding. Ratepayers will be charged a $161 levy which will go to the urban brigades operated by the QFRS. In areas affected by the boundary change, this will replace the old $25 rural subsidy that went to rural brigades. A QFRS spokesman said costs increased because urban district boundaries were extended to enhance people’s safety and increased levels of service required increased funding. Hervey Bay District Rural Fire Brigade Group chairman Denis Dack said the change could force rural brigades in Toogoom, Booral, Craignish, Nikenbah and Dundowran to close. “The $25 levy funded those local brigades, but with the changes, rural services in those areas will receive nothing. It will go to QFRS,” Mr Dack said. He said urban trucks could not attend fires on soft ground and claimed people’s safety was at risk if rural groups were closed. 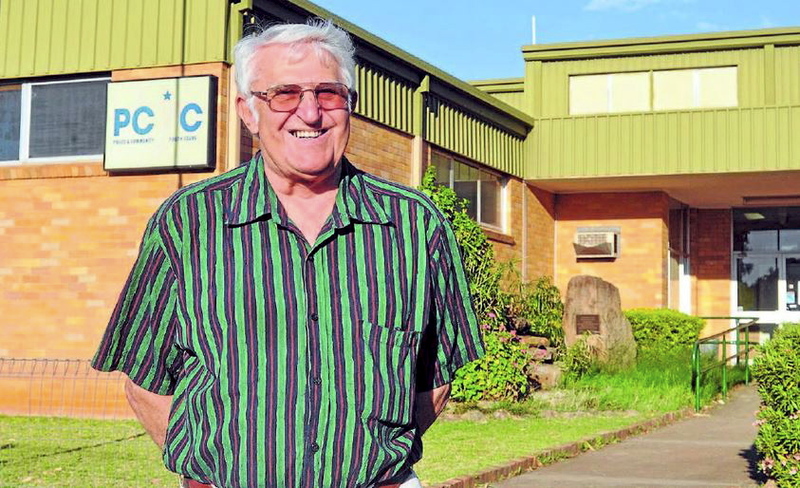 Fraser Coast Regional Council Mayor Mick Kruger said the region relied on rural services. “We are asking the QFRS to subsidise because the rural fire levy will cease and those people will have to pay an urban fire levy instead. We won’t be getting any rural levy,” he said. The next community meeting will be held at Dundowran Hall tomorrow at 6.15pm. 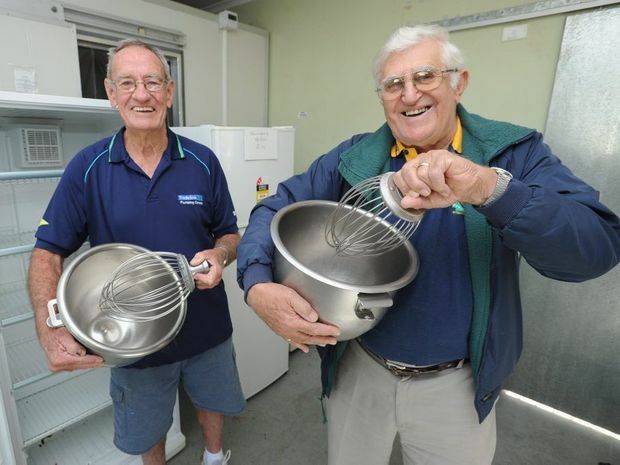 Fraser Coast Meals on Wheels president Ray Fleming and Community Help Group fundraiser Denis Dack will be whipping up some great bargains out of the old kitchen on Gossner St in Scarness. 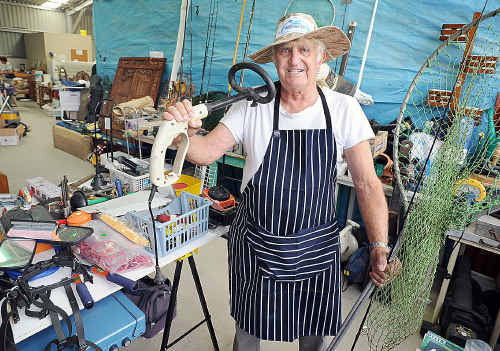 EVERYTHING from cooking gear to electrical goods – and maybe even the kitchen sink – will be on sale when Fraser Coast Meals On Wheels cleans out its old premises on Saturday. After years of fundraising, the organisation recently moved to a new kitchen in Pialba and is holding a garage sale to empty out its former home. “Besides the kitchen equipment, we also have furniture, electrical goods, books, plants and more for sale at a reasonable price,” Hervey Bay Community Help Group treasurer Barbara Watson said. Mrs Watson said Meals on Wheels moved to 39A Islander Rd a couple of months ago as the old kitchen was too small. “We were putting out thousands of meals a week and it just became too difficult to cope in the tiny little kitchen,” Mrs Watson said. Mrs Watson said the new kitchen on Islander Rd was bigger, better and clients were happier. “It’s six times bigger which gives us so much more room,” she said. The garage sale will be held on Saturday, August 2, at Meals on Wheels former premises at 2 Gossner St, Scarness, from 7am. Denis Dack’s Royal Enfield is for sale. A FAMILIAR sight around the Bay will soon be no more – Denis Dack is selling his prized Royal Enfield motorbike and sidecar. 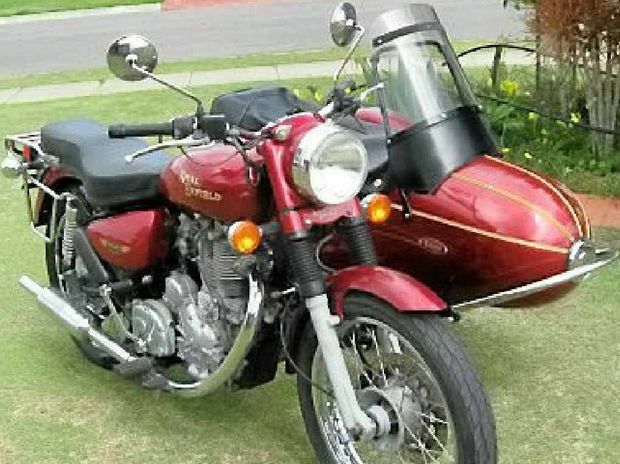 A former New South Wales police traffic motorcyclist, Mr Dack said the rare 500cc Electra was more a steady goer than a speed machine and he had only done 25,500km since he purchased the bike two years ago. “It’s a very rare bike around here,” Mr Dack said. Mr Dack said he had the bike assembled locally in Hervey Bay but finding a matching sidecar for the fiery maroon bike proved tricky. “I knew I wanted a side- car,” he said. Mr Dack said it wasn’t a popular decision with his extended family when he told them he was going to make the sale about the $9950 mark. As a member of the Royal Enfield Motorcycle Club, he was unsure about new changes to the law that would affect bike enthusiasts. “I don’t want it to just sit in the garage,” he said. Hervey Bay Group Rural Fire Brigade chairman Denis Dack and Hervey Bay Group Rural Fire Brigade group officer Don Duffus with Dundowran rural fire brigade members (from left) David Egan, Joe Donovan, Mal Ewart and David Kohler. RURAL fire brigades are worried any changes to fire levies could signal the beginning of their demise. Group officer Don Duffus of the Hervey Bay Rural Fire Brigade Group said ratepayers in rural residential areas currently paid a $28 levy for fire protection in the Fraser Coast. He said the same residents would be asked for an additional $90 from January 1, next year. The money is part of the new Emergency Management and Fire Levy. Mr Duffus claimed those ratepayers would see no benefit in services from that fee. Fraser Coast Mayor Gerard O’Connell said last month he was unhappy at not being consulted about the additional charge to ratepayers. On Wednesday, he told the Chronicle no assurance could be offered to rural fire groups until the budget was adopted. But he said he anticipated rural services would continue to get their funding distributed to them from the council for the next 12 months – beyond that there were no committments. “I, for one, want to have a pretty serious conversation with the State Government in the course of the next year to make sure rural fire brigades do not miss out by this double dipping,” Cr O’Connell said. Mr Duffus said the Gold Coast City Council had recently shown its displeasure, announcing it would stop collecting the rural fire levy for the State Government, also accussing it of double-dipping. He said he worried if the state controlled the distribution of the funds services would be worse off. Hervey Bay’s Australia Day Citizen of the Year Denis Dack. HEART attack victim Denis Dack was lying on a stretcher in pouring rain after midnight when he saw first-hand the lack of medical facilities at Hervey Bay Airport. His family looked on through the chain wire fence as he was lifted into an aircraft and rushed to Brisbane for emergency surgery. During recovery from a triple bypass operation he decided that something should be done about the lack of infrastructure. A year later a new patient transfer hangar was operational at Hervey Bay Airport thanks to the tireless efforts of Mr Dack and the community groups he enlisted to see the project through. At least five Royal Flying Doctor aircraft now use the facility each day for treatment and transfer of patients. 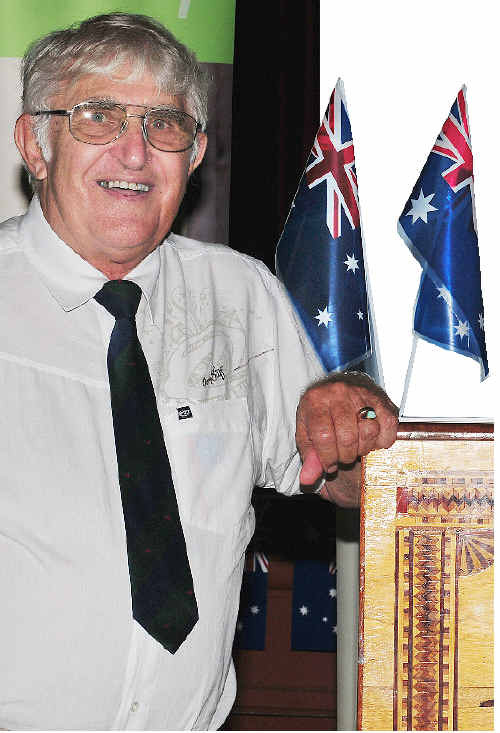 Mr Dack’s efforts were recognised when he received the Australia Day Citizen of the Year award at a ceremony held in Maryborough’s city hall yesterday. Mr Dack, not one to shy away from a challenge, is now working to expand the Hervey Bay Meals on Wheels headquarters. He said the current kitchen provided 65,000 meals per year and fed 300 local families per week. “We are now trying to raise $400,000 to build a kitchen 20 times the size of the current one,” he said. Gloria and Vince Chay received the joint Maryborough Australia Day Citizen of the Year award for dedication and commitment to the community. Ms Chay said she was honoured and overwhelmed. “We were so thrilled to even be selected. The two are district Neighbourhood Watch co-ordinators and have been long-term volunteers at the Brolga Theatre. Mr and Mrs Chay are regularly seen helping out at events in and around Maryborough. They dedicate their lives to making the community a better place and accumulate “a phenomenal amount of volunteer hours each year”. Other Australia day award winners included Maryborough’s RACQ Technology Challenge and Hervey Bay’s Family Easter fun day, receiving the gong for providing “residents and visitors entertainment and relaxation”. Australia Day Sportsperson of the Year award recipients were Rebecca Darby from Hervey Bay, Barry Brunke from Maryborough, Tiaro’s Trevor Keightley and Bill Brand of Woocoo. Mayor Mick Kruger presented a total of 28 awards to recipients from Hervey Bay and Maryborough as well as the Tiaro and Woocoo districts. 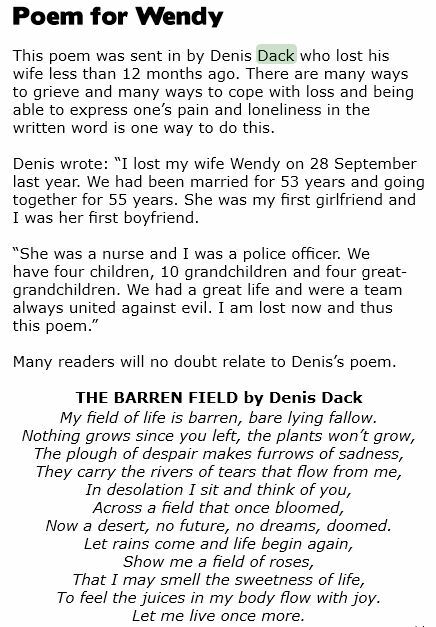 In 2006, Denis Dack penned a 30 page book of Poetry.